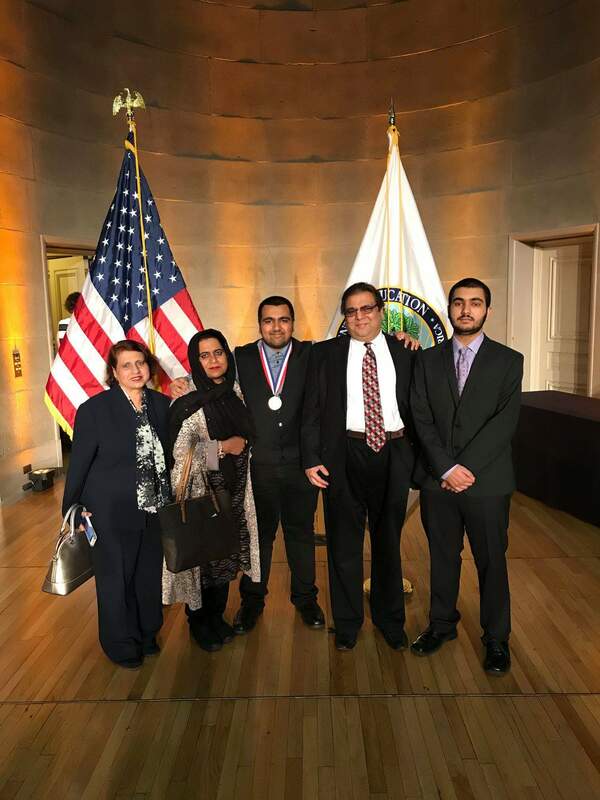 A Pakistani-American student Mr. Ibraheem Khan received the Presidential Scholar Award in Washington. Khan was one of 161 students recognized by the Secretary of Education who have demonstrated outstanding academic achievement, artistic excellence, leadership, citizenship, service, and contribution to school and community. The 3.6 million students expected to graduate from high school in 2018, more than 5,200 candidates qualify for the awards determined by outstanding performance on the College Board SAT and ACT exams. The U.S. Presidential Scholars are comprised of one male student and one female student from each state, Washington D.C., and Puerto Rico.